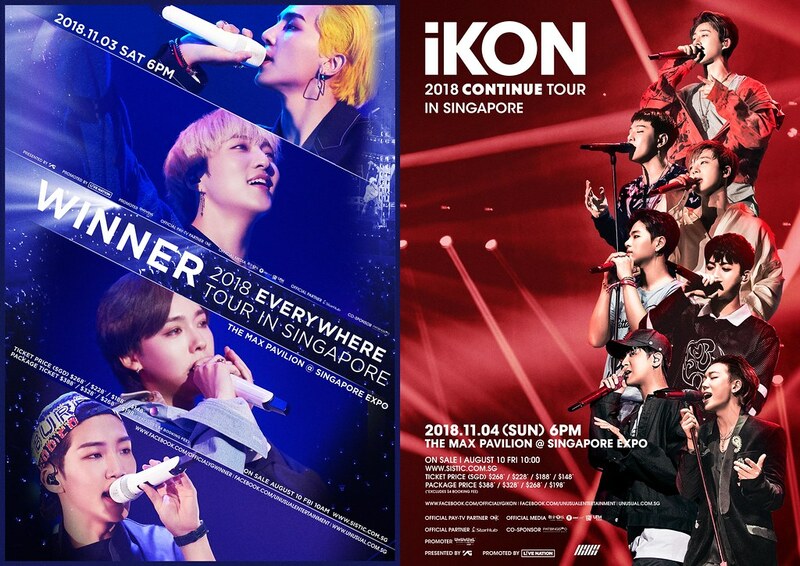 Singapore, 2018 – Mark your calendars as South Korean pop giant YG Entertainment’s WINNER and iKON will be visiting our shore this 3 & 4 November 2018 for their individual concerts respectively! General sales commence from 10 Aug 2018, 10am. Ticket Prices for individual concert: $268*, $228*, $188*, $148* (*excluding $4 booking fee) as well as Package Price for 2 Concerts: $388*, $328*, $268*, $198* (*excluding $4 booking fee) will be available for purchase through SISTIC channels, from 10 August 2018, 10am. To book, log on to http://www.sistic.com.sg or call +65 6348 5555.